Wash the oranges very well in hot water. 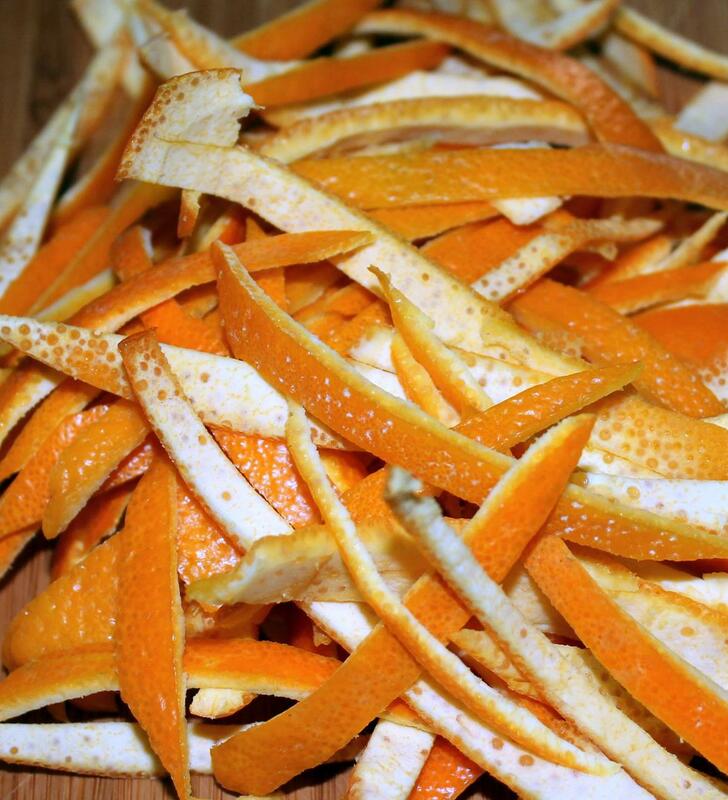 Cut the top and bottom of each orange and score the skin into quarters. 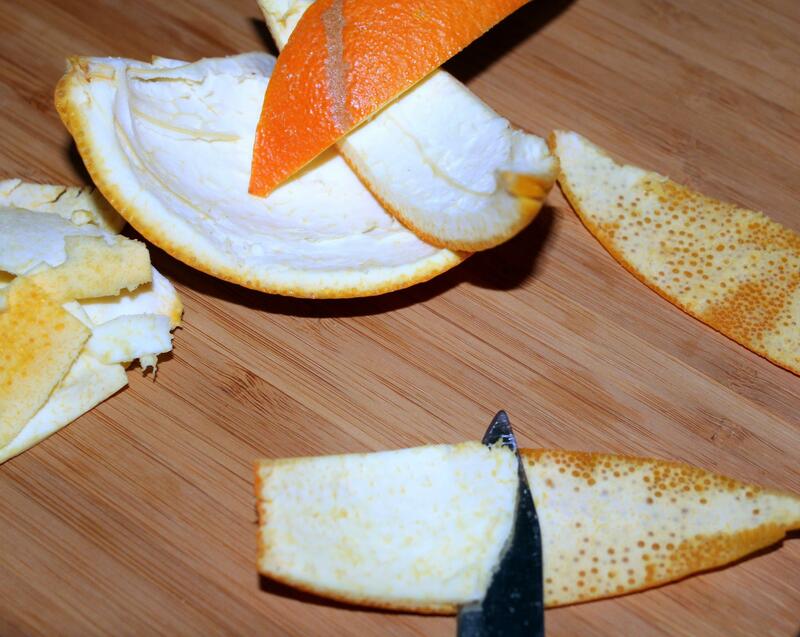 Remove the skin from the orange, then remove the white part very carefully too, because this part is very bitter. Oranges you can eat now :). Cut the skin into narrow strips. 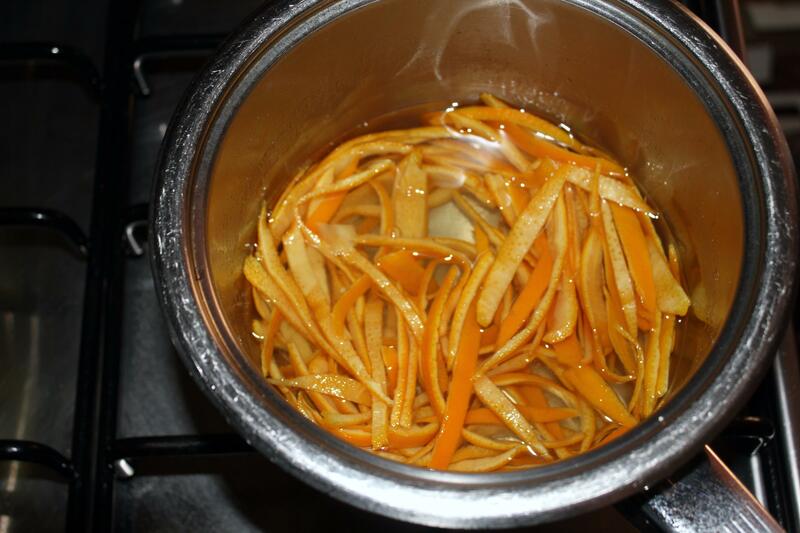 Place oranges peel in a large saucepan and cover with boiling water (2 cups). Simmer over high heat for about 15 minutes. Drain and place again into the large saucepan and cover with 1 cup water, add a sugar and bring to a boil over medium heat, stirring occasionally. Simmer about 45 minutes until water evaporates and you get a very thick sauce and oranges peel will transparent. Remove the strips from sauce, place them on a baking paper and leave to dry. 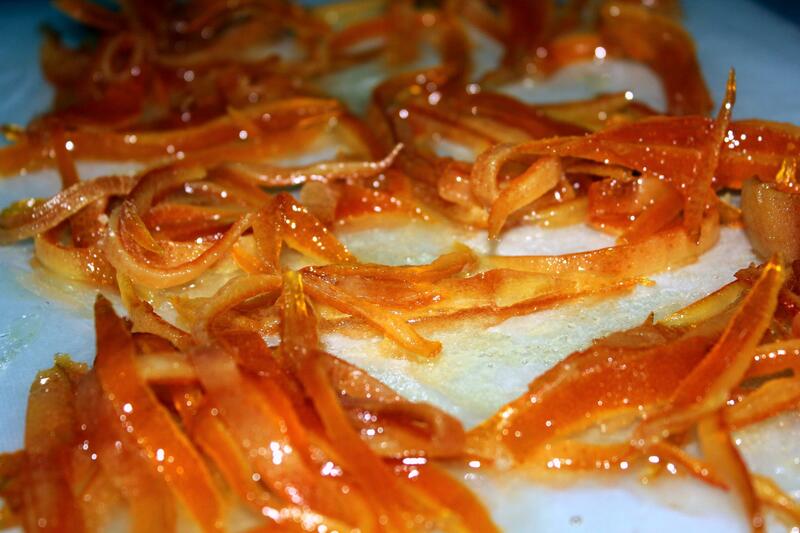 The candied orange peel should be stored in a jar. After cooling, we put in the refrigerator. You can also keep a long time in the freezer.Before adding to any cake, finely chop.